The word anxiety may seem like a buzzword or even a trendy thing to talk about. However, I can assure you that it is very real and very damaging for billions of people around the world. The good news is, there are ways to cope, even ways to alleviate anxiety and its symptoms using natural and drug-free solutions. One solution, in particular, CBD or Hemp Oil is creating a lot of noise in the alternative health space these days. Why? Because put quite simply… it works. If I asked you if you were an anxious person you might say no. However, your body and your mind may have a different answer. According to the Anxiety and Depression Association of America, 40 million adults in America have an anxiety disorder. The National Institutes of Health tell us that over one-third of the world’s population experience anxiety disorders. What this means is that on any given day, billions upon billions of people are experiencing the signs and symptoms of clinical anxiety including things like persistent fretfulness, distractedness, body clenching, and even full-blown panic attacks. Panic attacks can cause dizziness, accelerated heart rate, depersonalization and a fear of losing control or dying. Any form or anxiety can disrupt life, rendering some people unable to work or function in daily social activities. Furthermore, statistics show that there is a definite link between anxiety and depression, with over one half of those diagnosed with anxiety also diagnosed with depression. Think about it, having anxiety can make anyone depressed. In a 2018 poll conducted by The American Psychiatric Association 68% of respondents said “keeping my family safe” and “ my health” made them somewhat to extremely anxious. Paying my bills made 77% of those polled anxious and politics, and interpersonal relationships followed at 56% and 48% on the anxious scale. It is true; we live in uncertain times and these uncertain times foster a climate of anxiousness in one degree or another. The good news is that persons suffering from anxiety don’t have to resort to dangerous over-the-counter or even prescription medicine, there are many natural ways to handle the uncomfortable symptoms of this condition and even alleviate it all together. Just in case you have been asleep for the last several years – I want to let you know that we are smack dab in the middle of a celebratory cannabis comeback! Slowly, but surely America is finally coming around to the understanding of the potent medicinal value of cannabis. Once declared a dangerous mind-altering substance, cannabis is now being talked about, researched and embraced in a whole new light. By 2025 the legal cannabis industry is expected to skyrocket to almost $25 billion. Even with all this great news and education, there is still confusion – specifically between cannabis and hemp. Before I go any further, I want to clear up this confusion so readers can make educated decisions that are in their own best interests. Cannabis is not a new discovery, and this plant that originated in Central or South Asia has been used medicinally for a very long time. There are two main species of cannabis – Cannabis sativa and Cannabis indica. Both of these species contain mind-altering and other compounds that are not psychoactive in nature. Cannabis sativa is more stimulating, and Cannabis indica is known to have a calming effect. Cannabis plants contain hundreds of therapeutic properties that have been studied for a long time. However, within the last ten years or so, researchers have become intently interested in a particular compound found in both pants that is known as cannabidiol or CBD for short. This compound is non-psychoactive and has been found to help with a wide array of medical conditions, including, you got it, anxiety. When you hear the word cannabis do you immediately think marijuana? If so, that is ok, lots of people think this way. This is due to much misinformation and little education until recently. For the record, there are various types of Cannabis sativa. All of these contain differing amounts of THC (psychoactive component) and CBD (non-psychoactive component). Cannabis sativa varieties that contain above 0.3 percent THC are labeled marijuana while those who have less are called hemp. So, to set the record straight – Cannabis sativa and hemp are the same species – the only difference is that to be called hemp, a Cannabis sativa plant must contain less than 0.3 percent THC, and both contain the powerful and well-researched compound known as CBD. FACT: CBD is derived from cannabis plants like caffeine is derived from coffee beans or aspirin from Willow tree bark. Now that we have that straight, hang on to your hats – are you confused by hemp oil, hemp seed oil, CBD oil, and cannabis oil? Hemp oil: This oil is taken from cannabis plant stalks and is valued for its CBD content. It must contain less than 0.3% THC. Hemp seed oil: Oil that is extracted from hemp seeds is rich in healthy fatty acids but contains negligible amounts of CBD or THC. CBD Oil: Sometimes CBD oil comes from the entire plant including the flowers. This oil will contain high enough levels of THC to make it illegal in states where medicinal marijuana is prohibited. On the other hand, when CBD oil is extracted from the stalks of cannabis plants only – it will be below the .3% threshold of THC and considered legal. Here is where it gets really interesting. Cannabinoids work to activate specific receptors throughout the body to produce beneficial effects, particularly in the central nervous system and immune system. This is big news for people who continuously suffer from stress and anxiety. Those looking for a viable, healthy solution to deal with these all-too-common problems may be in luck. A study published in the Journal of Psychoneuroendocrinology demonstrated that CBD treatment following a traumatic experience may help regulate emotional response and stress. Researchers found that the cannabinoid compounds worked on multiple parts of the brain. They worked to reduce the impairment associated with post-traumatic stress and speeding patients’ emotional recovery. Epilepsy – There is documented evidence of the positive impact of cannabis and epilepsy dating back to 1881. Today research has revealed the promise of CBD as an anti-epileptic therapy. Pain and Inflammation – CBD has been shown to reduce chronic pain and inflammation. 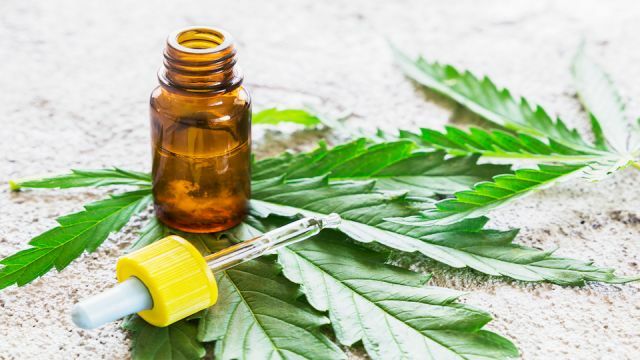 One study found that CBD injection reduced pain around an incision in rats and another study found that oral CBD reduced sciatic nerve pain and inflammation. Alzheimers Disease and Dementia – Research on the use of CBD for dementia and Alzheimers has been very promising. Scientists at The Salk Institute in California found evidence that cannabinoids including CBD could remove dementia from brain cells. Recent studies show that CBD can reduce or even eliminate the impact of inflammation, oxygen build-up, and brain cell decline – all concerns with the progression of Alzheimer’s Disease. Insomnia – Millions of Americans suffer on a nightly basis with insomnia. Research shows that taking a CBD-rich tincture a few hours before bedtime can have a balancing and calming impact on the body – promoting a good night’s sleep. Hemp plants should be 100% organically grown. Hemp oil should be extracted using CO2, ethanol, or olive oil. Get a third party certificate of analysis. This will show the chemical composition of the hemp oil and if it contains any contaminants such as heavy metals. If you choose a vape pen, be sure that the vape juice does not contain propylene glycol. When this chemical is heated, it can create formaldehyde that is carcinogenic. Choose a product with high absorption rates like quality oil that uses a liposomal formation. This allows for the nutrients and CBD within the hemp oil to be immediately available. Hey Buddy!, I found this information for you: "The Cannabis Remedy: Simple Solution For Over 40 Million People Suffering With Anxiety". Here is the website link: https://www.thealternativedaily.com/cannabis-remedy-solution-people-suffering-with-anxiety/. Thank you.